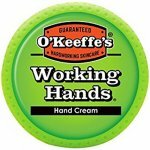 For dry, rough and chapped hands. 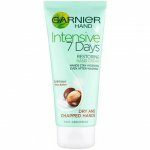 Intensive, long-lasting moisturisation. 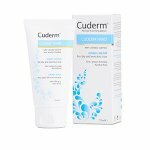 Restores the skin's natural barrier. Perfume Free - Hypo-allergenic. Non-greasy. Easily Absorbed. Dermatologically Tested. 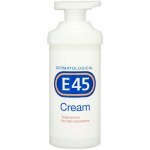 E45 Moisturising Hand Cream is a non-greasy cream which gives intensive, long-lasting moisturisation to dry, rough and chapped hands. 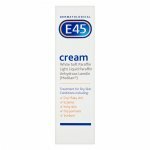 E45 Moisturising Hand Cream contains a combination of lipids that restores the skin's natural barrier and rehydrates the skin. 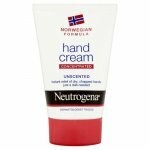 The formula is easily absorbed, and leaves hands feeling soft and supple. Aqua, Cocos Nucifera Oil, Propylene Glycol, Cetearyl Alcohol, Paraffinum Liquidum, Glycerin, Isohexadecane, PEG-20 Stearate, Polysorbate 60, Squalene, Phenoxyethanol, Stearic Acid, Disodium EDTA, Ascorbyl Palmitate, Lecithin, Tocopherol, Sodium Hydroxide, Hydrogenated Palm Glycerides Citrate.